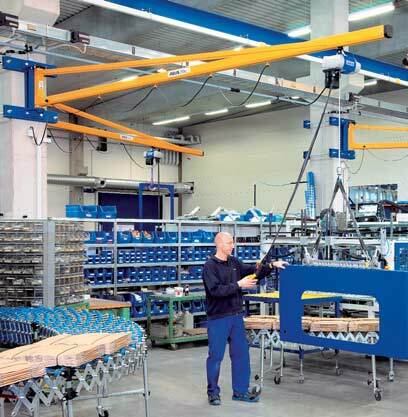 The wall jib crane LW is an unobtrusive and reliable aid when it comes to moving lighter loads by hand. 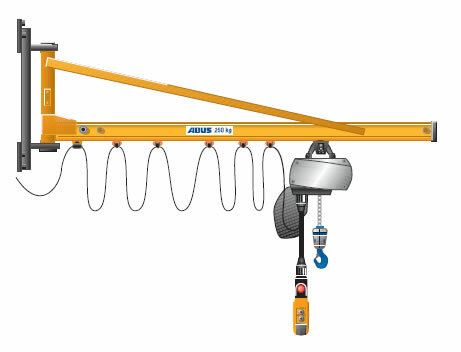 Its lightweight design allows it and its load to be guided quickly and precisely even at longer jib lengths. This is an effective aid to daily operation – as in this case in the picking area for packaging machines. This crane is mounted with a bracket on the building support column. The brackets fit around the supports, even those with large cross sections, to bring the crane to the desired height.